Here it is - Weight Watchers New Program! It is called Freestyle and it is launching today. Many of you have been anticipating a change in the Weight Watchers program for a while since you noticed that all the WW books and calculators went on sale for 50% off. In the UK, they started the new program last month and called it Weight Watchers Flex. I guess in the USA we like to be FREE. The really good news is that Weight Watchers new program (Flex or Freestyle) is still using Smart Points so your calculators, scales and many of your recipes will remain the same. If you are on the online version or the meeting, you will not start the program until you weigh in and start your new week. All the recipes on the website will have the new Smart Point numbers when you start using Freestyle. If you go to the meetings, this week will be the roll-out week when you get to start. The recipes that have the new zero point foods (see below) will have to be recalculated. I will do that here on Snack Girl and let you know when all I have completed the work. There are now 200 ZeroPoints foods including eggs, fat-free yogurt, fish, skinless turkey and chicken breast. You are allocated less daily points. You can roll over your points when you don’t use them – up to 4 points per day will get added into your weekly allowance. You can earn FitPoints that can be transferred to SmartPoints. Just like the old program, all fruits and vegetables are zero points (except for the ones that weren’t last time such as avocados, potatoes, and sweet potatoes). The change is that they added in some lean protein that will now be zero. You will have to adjust the recipes in which you use these foods to get the new SmartPoints value. That will be a pain (especially for me because I use a ton of beans). This program is very vegetarian friendly. Before, you would get really dinged for eating beans and now they are FREE! This will make it easier for people who use beans as their main source of protein to follow the program and I think that it is a great change. When you calculate SmartPoints for a recipe or packaged food, you will still have to plug in number of calories, and grams of saturated fat, sugar, and protein. Whenever you have a high sugar or saturated fat number, the SmartPoints number will also be high. Cutting out the sugar is a healthy choice that many of us need to make so I can say that I am happy that Freestyle continues this focus. My friend Mark has 10 less daily points and I have 7 less daily points. I went from 30 to 23 and I still have 35 weekly points. I think the change is probably because they are giving you so many more FREE foods. If they left the daily points value the same you would be eating more and the program might not work (as you would not be reducing your calorie intake). Let’s say my daily allowance is 23 and I only eat 19. Those 4 points don’t just disappear like in the old days! Now, those 4 points get added to my weekly allowance to be used when I need them. You can do this multiple days in a row to save up for a big event but you can't roll over more than 4 points per day (so no starving yourself). You cannot roll over points from the previous week. Once you weigh in, you start again with the same number of weekly points. You can also choose not to rollover points if you don't want to use this option. This part was confusing to me so maybe others can illuminate the program. If you hit certain fitness goals, you earn Fit points, and then you can choose to turn those into SmartPoints. You can keep track of your FitPoints using a fitness tracking device or an Apple Watch but you can also do it manually. Before you can earn a SmartPoint you must walk around 3,000 steps per day (or do the equivalent). The next 1,000 steps (or equivalent) will get you a SmartPoint which gets put into your weekly allowance. Weight Watchers new program continues to help people who are prediabetic lose weight and improve their overall blood sugar numbers after 6 months on the program. The improvements have been shown to be sustained after 12 months. The Center for Disease Control and Prevention (CDC) has recognized Weight Watchers new program (Freestyle and Flex) as a National Diabetes Prevention Program. Weight Watchers incorporates the curriculum from the CDC to help people turn their eating around and gain control of their weight. This can be a great program if you have been told that you are prediabetic and need support in making the changes to a healthier diet and lifestyle. I still think Weight Watchers is hard to beat when it comes to a healthy long term weight loss program. I love the inclusion of protein in zero points because dietary science has shown that protein is important for satiety (feeling full). I think it may make the program easier to follow (especially for vegetarians). The best part is the inclusion of beans as zero points. They are filling, inexpensive, versatile, and low in saturated fat. I always wondered why a recipe with beans ended up to be so high in SmartPoints. I love this change. My friend, Mark, said that he is finding the program more restrictive because of the drop in his daily points allowance (which could be a big problem). It is cool to see them integrate fitness tracking devices into the WW program. I think that will make it easier for people to track their activity without much work. So far, I like that the changes aren't too drastic but I haven’t been on the program long enough to know if they are an improvement. What do you think of the new plan? Are you game to try out the changes or ready to quit? As one stalling on renewing my lapsed WW membership until Freestyle was released, thanks for presenting this update! Since your list of 'newly-freed' foods is 'abbreviated', I'm wondering what other foods have been added to the 'free' list, such as canned sardines in water, flavored fat-free Greek yogurt (or is only plain 'free'? ), other lean meats & fish (ham, roast beef, catfish, etc). Would you please post the full list? It could determine whether I re-join WW when the post-holiday promos come out in the New Year. Just wondering - I left WW a year ago because it felt like if I were within 50 feet of a carb/sugar, my daily points were shot. Any changes to carbs? Can you post a few items and their points? Thanks for posting this. I am doing weight watchers online only and they didn't really give much info about it. I learned on Facebook groups. I have been doing WW the Simply Filling Way and this Freestyle seems much the same, without trying it yet. Simply Filling has plenty of carbs as well. Looking forward to seeing how smmoothly the transition goes, and if I can still continue with Simply Filling. June was my 14th year doing WW. 13 years have been spent at or very close to goal. I agree weight watchers is one of the best for losing and keeping the weight off. Regular meetings and weigh ins hold us accountable. Once someone makes it to goal they should continue to weigh in regularly to ensure their continued success of being at goal and maintaining lifetime membership! Thanks Lisa for all you do to help us with trying to live a healthier life. Thanks for posting but my group kicks off NEXT SATURDAY so will get the majority of my info from my leader (which I suggest that some who are asking questions do the same....people, your questions will be answered if you attend a meeting). My gut reaction is the new program is almost identical to what Simply Filling was........I don't think ALL eggs are zero points, have a feeling that is hard-boiled only. I also don't believe that dark meat turkey is free (there are some contradictions written above).......tuna isn't on the zero point fish list or you just added fish that had previously been higher? Once again, like Simply Filling, firmly believe your FIRST PORTION would be zero points, but if you choose to double up you will have to calculate the points (I don't know for a fact but that is how it was for Simply Filling). I will get further clarification next week at my meeting (since I have Saturday meetings it doesn't kick off til next week).....and while I THANK YOU for this "preview".........I suggest that some who are asking questions (some of which are unbelieveable and quite amusing lol), I suggest they go to a meeting and find out. Now that chickpeas are a free food, what about pasta made from chickpeas? I don't get the new plan until Saturday! Can't wait! There will definitely be more beans, lentils, and tofu in my future! Oooh and eggs. I know I don't eat 7 sp of those foods, but maybe I'll start! Didn't eat much if them before because of the points. An egg is an egg, whether it is hard boiled, soft boiled, cooked in the microwave, etc. Super excited about the beans being zero Points! I never wanted to spend my points on them before, but I will definitely eat more now. I am excited about this new program. I was using the program this way while I was on lifetime for two years. I fell off the wagon this summer. Now sounds like a good time to rejoin. People are always going to be curious. It’s ok to ask questions! That’s how we learn. Sharing information is great. Not everyone is on WW. By answering their questions, they may be able to decide if they’d like to join. ❤️ My weigh in is on Saturday. I enjoy having a little sneak peak. Nothing wrong with that. There's a lot of information on Connect. Some from official sources, some the experiences of WW memebers who were part of the six-week test. Here is the complete list of zero-point food. An egg is an egg is an egg -- it will be zero. Of course, if you fry it in bacon grease, you have to count the bacon grease!!! Also, on Simply Filling, second portions of the old Power Foods, as they were called, were still zero points -- you were supposed to eat until you were satisfied. I've been on Simply Filling as my maintenance program for the last four years. This just makes it even better. I do love my beans, too. There will be the critics, but this is the way you need to eat to maintain for the rest of your life and to keep yourself healthy. Is it all beans or just certain beans? I am wondering about northern beans ( beans for white chili). This could be a good thing. Couch to 5k in the app? How do I get to it? Thank you so much for posting information about the Free Style! I am excited! If you would choose to stay on just a straight smartpoints program and not adjust your points allowance is that an option? Since a lot of my points were from beans, this is great that they are now 0 points. Appreciate Snack Girl giving me the update on W. W. program. Keep them coming. Really do like The Snack girl site. I quit WW two years ago because I got tired of them changing the program every few months and every time it changed, it felt like they were derailing me. Like Donna, it did feel like if I were within 50 feet of a carb/sugar, my daily points were shot. I am now using the LoseIt! app very successfully (I've lost 16 pounds in my first 5 months! ), which is very similar to WW, but it is straight calories in / calories out and does not ever change the basics of their program. You can tell it exactly how much weight you want to lose and how quickly you want to lose it and it sets up everything for you based on that. Well worth paying $40/year for no ads (and MUCH cheaper than WW, I might add). They also have a great community, challenges you can join and lots of additional features I won't go into here. Highly recommend for former WW members who want to stay on track with a similar program but are tired of paying $20 a month! Any suggestions for the unpleasantness from beans? I recently made a batch of turkey chili and only ate a cupful due to the side effects AND I took a beano. Do you know what causes the stomach problems? I think the new lifestyle is beneficial if you love low protein meats it will help you to eat more for less points and not to be hungry all the time.It is not my case I love pasta and cheese it will not benefit me because my points are changing to 30 to only 23 a day.It will deprive me even more to eat the foods I like. got a problem with gas from beans? Susie H - cheese does nothing good for you. it can raise your cholesterol if you eat too much. You're going to have to be more open minded about what you're eating. I don't officially start the new program until tomorrow. However, I decided to track meals for tomorrow in the app. My daily points did go to 23 from 30 starting tomorrow. All items, including ingredients in meals that I have saved, were changed to zero as applicable. Sometimes my pre-planning is optimistic, but I will still have 4 points left to rollover or use for a snack! I also like that corn & peas are now included in the zero point vegetables. Why not consider a FREE program like MyFitnessPal. Works great and doesn't change every year like WW. Has a mobile app as well. 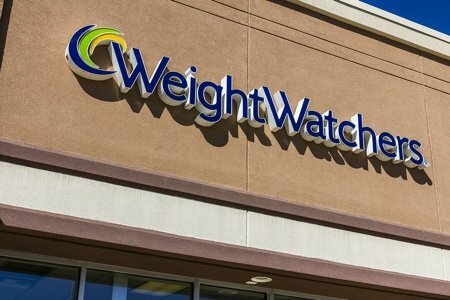 How do I do weight watchers on line if I am a lifetime member? I was completely blindsided by my daily allowance points drop from 30 to 23 yesterday. I went to the “chat” on the app and voiced my concern about the drop with no notice. The person explained that there were the 200 zero point items now. After looking at the list I commented that it appeared that WW was trying trying to turn us into vegetarian. They returned with the expanded zero fish and seafood items. I returned with, as a senior on a fixed income alot of those items were not something I could work into my diet. At that point the commentator ended the conversation. I was not pleased to say the least. I am now rethinking as to whether to continue with WW. I think they need to do some sensitivity training for those who are answering the “HELP” line. Just my thoughts. So more "free" foods, but healthy grains are still blacklisted. All these free foods still have calories, with no point value, it becomes very easy to overeat. In the past, I would weigh my chicken to make sure it was 4 oz. Now it doesn't matter what the weight is, because it has no points - but it still has calories. A lot of people will say they didn't get fat eating chicken breasts, but those calories do add up. It will be interesting to see how this plays out. Won't be renewing my membership in January, will be going back to MFP that makes a lot more sense to me. I have given enough money to the WW machine. If they were truly in this for their customers, you would be able to continue using past programs where you had success instead of having to regularly start all over again. Because some people need accountability, they need/want to go to meetings. I did myfitness pal...and I need to go to meetings. You're asking how you do WW online if you're a lifetime member? At your monthly weigh-in you get a voucher with a code...you put the code in on the website and you get free e-tools. You can't work eggs and chicken, turkey into your plan? I buy tuna in packets..they run about a buck..I only buy my skinless chicken breasts when they are on sale and I freeze them. You could buy chicken with skin on and remove the skin yourself. What were you eating before the new plan? Where is the Couch to 5K program in the app? I’ve contacted WW and they can’t tell me. Thanks! Although I just joined WW online on Nov. 27th, I wasn't invested enough to be bothered by the change in program. I went from 30 points to 23 points. You have to count points for beef and pork, grains, fat and sugar basically. People would do well to look at what they usually eat and will find that it's not going to be that hard on them. You can roll 4 (max) of your points over if you don't use them. For example, I made the WW 3Bean Chili, 7SP for a 1-1/3 cup serving. Now it is 0 Points. Thank you Snack Girl,just came across your website. Thank you for explaining the new program. You explained things so well & alot of work on your part. I've been a WW for 5 yrs & lost 116.6lbs & became lifetime in 2014.I follow the PointsPlus program but look forward to trying the new program. Thanks again & wish everyone the best with the new program. I am excited about this new Free Style program. I was doing simply filling but am switching to tracking. That way I can eat more of the smart point foods and the free foods and not go over my weekly allowance. I was having a hard time not using all my weekly's before. I really like that beans are FREE! Is a can of tuna in water 0 points? I meant to ask WW people but forgot. On the APP it is 1 pt. How do you calculate your new points allowed on this new zero foods list plan? I started the new program today. First time I have been this excited since I joined 14.5 years ago! I love the new program already! Can't wait to see how it is long term. Day 1 = in Love! Anyone know what the daily points will be for someone on maintenance in the new Freestyle program? I'm a former lifetime member....and i just rejoined today. I think the new program is great!!!! Just looked thru all the booklets and they are so much better than before. My breakfast was zero points - fage plain non-fat yogurt, hard boiled egg and a banana. For lunch I had an entire can of light progresso soup and 2 mandarin oranges, just 5 sp all together. going to have a snack of premier protein chocolate for 2 sp. You can still have your lean cusine meals...if you choose ones that are lower in points. I looked at one of my favorites the lean cuisine pepperoni pizza and that is 11 sp. You get roll-over points..so I will eat that later in the week! If you read thru all the information provided...and you are open minded and flexible...you will do just fine on the new program. Many have commented that WW is making it seem that its all you can eat. When you open your app...and put in chicken breast it does show you that the portion size is 3 oz for zero points. Zero point is not the same as free. You still have to use common sense. One man asked if he could have 2 chicken breasts for dinner. Now, chicken breasts come in all sizes but I've never seen one smaller than 3 or 4 oz. The chicken tenderloins do come smaller. This gentleman was an older man around 70....should he being eating 2 chicken breasts and expect to lose weight? Time will tell. you can't grill a piece of chicken? how long does that take? how about baking 2 at a time? And then you have leftovers. Or pick up a crock pot, you can probably find one at Goodwill too. WW has plenty of suggestions for low point snacks. I'm a bit confused. I ate a grilled Chicken sandwich from Wendy's today, and a small Chili, Smart Points 9 for the sandwich, 5 for the Chili, Cheese extra around 3 crackers for two in a package 1, that would be 18 Smart Points, and 2 more for Breakfast a yogurt. That is 20, now If I do it this way, I have 10 left for dinner and a snack very small. Freestyle, Chicken Sandwich off WW site, now 6 and small Chili 3 and cheese 3 crackers 1 and yogurt flavored 2, that would be 15, that would leave me 8 points left for supper and if a snack, to me not enough filled up or not? I may stay on the SP plan. I have a problem with this new program. I cannot eat almost all of the free foods and wonder how I can keep on following the former program using my Weight Watchers app. I love the bar code feature. Thanks. My husband and I have been on the freestyle diet for 3 weeks and he has gained back 3 lbs. he is averaging 5 eggs per day, but the reduction of his points was 13, so even if those were calculated (at 2 pts per egg) he shouldn't be gaining weight. I'm concerned he will get frustrated and quit. Any thoughts? You don't have a choice of plans IF YOU PAY FOR WEIGHT WATCHERS. I see from some comments that there is "contempt prior to investigation" and that's a shame. Granted my points went from 30 to 23 but I'm not missing out on any food because of all the zero point foods. I would encourage people to discuss at their meetings (I'm doing online) and get ideas and also go to the WW site to see how much their frozen meals really are. I doubt that the points on (Healthy Choice, Lean Cuisine, etc) packaging has kept up with the change yet. I'm on board, losing weight and very encouraged by not being hungry. Week 1 on Freestyle: Gained weight and was very hungry all week long. High protein/low carb diets are the worst for me. If I wanted a high protein/low carb diet, I'd do Atkins or South Beach or any number of other diet out there. Weight Watchers was the one plan that knew how to balance carbs and protein for a healthy diet and weight loss. I'm extremely disappointed - all that protein isn't particularly healthy, it's EXPENSIVE, and it most certainly isn't balanced. I'll do my best with this until my membership comes up for renewal, then, after 30 years with WW, I may have to bid them a sad farewell. I've been on WW for eight months. I hit my goal about three months ago, and I had gotten to a great place where I was eating what I wanted and maintaining my weight. Then WW did this. I'm not thrilled about the drastic decrease of my daily points. The new zero-point foods don't really help me because I don't eat much of them anyway (or as far as eggs go, I was eating egg whites for only one point), so I don't see how the decrease in daily points will work for me. But, I'm willing to give this new way a try to really see how it goes. I wish we were allowed to choose which system we wanted to follow, because if Freestyle doesn't work for me, I'll have to ditch WW altogether. I bought lean cuisine yesterday...and the points have dropped by 2 - 3 for meals with chicken in them. The meals that have pasta, pizza etc....no drop. Chicken and turkey will have the most of a drop. What about fat-free flavored yogurts? Will the be zero? I compared them to the plain and they have the same sometimes less sugar than the plain. Is anyone else bothered by the way the weeklies are handled on the app? I find that when my weekly allowance changes, either because I went over or I earned a rollover, the new value replaces the original one for the whole prior week. I used to like reviewing the week, to see what I had consumed and how it effected my points. Now my history has been rewritten and is much less useful. I've read through the postings under #freestyle in Connect, and no one has mentioned it, so mayble it's just me. But I would love to hear from other if they are expriencing the same problem and whether it's an issue for them. Yogurt has to be nonfat, plain and unsweetened. Milk has naturally occurring sugar. I'm shocked by so much negativity with this new program. It is not much different than the old one -- they are just encouraging you to go with the heathier food. I cannot believe someone would be hungry on this -- no reason to be hungry. You can have fruit, veggies, and/or some lean protein, chicken, fish, eggs, beans. I've been doing WW off and on since the 1970s, so I have been on every program there is. They keep getting better and better. I maintain my 94-pound weight loss of four years now with following the Simply Filling program, which is what this Flex program seems to be like. My husband does smart points at home. How do we calculate what his new daily points should be? Two things. First, we used to have to count points for fruits in smoothies. If you don’t have to count the points for other free foods in recipes, do we still have to count fruit in smoothies? (will ask in tomorrow’s meeting). And the second thing. I had the a bag of baby carrots and a package of plain rice cakes in my hand today. They have the same NI, except that carrots have more sugar than rice cakes. So why are rice cakes 1 point but carrots are free? Makes no sense to me. @Melissa Hunter Yes you still have to count fruit in smoothies. And for the 2nd thing, rice cakes are easier to overeat. The sugar in carrots is natural. The rice cakes may have the exact same amount of calories, protein, fiber, etc. as carrots, but rice cakes are easier to overeat. Plus carrots are natural and rice cakes are processed. As my leader said during the meeting, in her 30 some years as a leader she never heard someone say they overdid it on chicken breasts and that's why they are there. Same thing with carrots. :) That being said moderation is key. look online for a site that will help you figure out his points. Yes you still have to count the fruits that you put into the blender to make a smoothie, that has not changed. Rice is not a zero food on freestyle, so rice cakes would have points. How do we count carbs? Is there a list for those, as well? Not at all happy with new program. The drastic cut in points (for me 30 to 23) is 49 less points a week. The entire point of the WW program is to manage what you want to eat vs. other foods that you like to eat. Now, I'm not eating what I want; I'm eating what they want. 200 zero point items hardly makes up for 49 less points/week unless you want a life of fish, chicken, and tofu. Good grief. Freestyle is really becoming a pain. The app was down for most of this AM and now when I did get in to it it wants me to re-enter all of my original settings. After messaging WW threw FB Messenger and recieving no response, I started checking Google and found that there are whole areas of the country that it has crashed in. Why didn’t they just leave things alone. Now I wonder how much of my inputted data is gone. Frustrated. I saw a comment that you have to count the fruit in smoothies and I disagree. You have to count the milk and any added sugars but fruit is zero points. Keep up the good work, Lisa. You are my hero. Is because you talked about all the zero point (not free) foods I got interested and joined the online version on Nov 28th. I have lost nine pounds since and find that I'm so surprised that I'm never hungry and very satisfied. The sharing of recipes and encouragement there are wonderful. Again, thank you. Almost everyone is on 23 sp..unless you are obese. You are not the only one. The whole point of WW and other programs is to get you to eat healthy! Seriously, how much food are you eating with no nutritional value? Most days of the week, I'm not even eating my 23 points. This is what I eat for breakfast either - Premier Protein drink 2 sp, or oatmeal - 4 sp, egg beater - 0, toast - 3 sp with trader joes non fat riotta cheese - toasted = 4, or fage non-fat greek plain yogurt with fruit. Snack - ole xtreme tortilla - 1 sp - with fat free refried beans = 0, and salsa = 0....A snack all for 1 sp!!! Dinner = chicken breast grilled, 4 oz = 0, with 5 oz sweet potato = 5 sp, and a green veggie = 0. That whole day without a snack after dinner comes up to less than 23 sp. You NEED to look at the crap you are eating!!! Yes, I said that. Look at your friends who don't have a weight problem, unless they exercise every day for an hour - what do they eat? do they eat a whole bag of chips, candy, a whole carton of ice cream? If you want to weigh less, you have to eat healthy! 1) No, not everyone except for obese people have 23 SP. I have 28 SP, and I am nowhere near obese. 2) Congratulations on your diet. Not everyone’s lives work the same way, and some of us need a bit more flexibility for a variety of reasons. That’s why WW had worked so well for so many. I, personally, have no interest eating the way that you do, so your lifestyle wouldn’t work for me. That’s not tl say I don’t eat healthy, but I do enjoy pizza, burgers, etc., when points allow or are budgeted for same. We don’t all want to eat grilled chicken and deli turkey all the time. But if you do? Go for it. 3) Perhaps instead of judging other people’s diets, you could practice some empathy and/or just worry about yourself. Yes, I said that. I am also very disappointed with the new plan. My husband and I are doing it together. We've lost 45 lbs in 3 months on the old plan and now we both feel derailed by the change. We both eat pretty healthfully but the change is throwing both of us for a loop. The only reason we haven't cancelled yet is to keep the tracker. So disappointed. I wish they would grandfather us in and let us use the old plan. I plan to cancel in 2018. If they hadn't made the change, I would have stayed on for a long time. Sorry Dee but you are misinformed. Fruit in smoothie is not free. If you drink the fruit, it's points. Have you tried iTrackBitesplus. It’s the same as the Weight Watchers app and you can choose to remain on the original Smart Points plan. Oh my gosh, Elaine! Thank you soooo much for your suggestion! I downloaded the app and am now in the process of cancelling my WW membership! Woohoo!! no one says your chicken has to be grilled or plain. Give me a break! There are plenty recipes out there for chicken parm, chicken fajitas, crock pot teriyaki chicken, LOOK - mexican chicken pizza with cauliflower crust, Jalepeno chicken, buffalo chicken lasagna ..do I have to go on! Wow! Just look at the WW recipes and you'll see how much you can do with chicken. Your mindset is part of the problem, yes I said that. You can make a low point pizza using an ole xtreme tortilla for 1 sp. You might have to actually use your imagination, or look online for recipes. Imagine that. You don't have to eat plain grilled chicken every day. Have a burger with less fat, buy lean chop meat! You're right, I have no empathy for people like you - that whine! Belittling people is a TERRIBLE thing to do! Most of us are here to HELP each other. There is a kind way to make suggestions and a RUDE way. Emily wants our support, not our criticism. Encouragement and empathy go a long way in bolstering one’s confidence. Sue, Here I am insisting fruit is zero points in smoothies! I'm a new online member and am limited in the info I get; nobody in these comments told me outright that there are "smoothie rules" which I found out from a weight watchers membership guru. I am committed to doing this program, however imperfectly, and having fun with it. I'm 71 and it's never too late on this side of the dirt. Laurie, why do you have to be so ugly? Your ways don’t work for everyone. No one is whining on here. People are just unhappy with changes they were not given a choice to make. No need to be so mean. My goodness. I am NOT responsible for how YOU perceive me. Nor, do I care what you might think of me. Dee, believe me you are not the only one to think that fruit is free in smoothies. I still enjoy them though, just cut down on the amount and use berries (less in sugar). There is good research showing that foods we drink don't satisfy the way foods we eat do. Besides the longer time it takes, there may be something about the act of chewing, the sensation of food in mouth/throat. Anyway, that's the rule. that is not true and I like to have one for breakfast when I want a change. I always add a scoop of high quality protein powder(2)and some super greens (1) and a serving of spinach. That makes it satisfying and lasts me a good 4-5 hours. I have been adding a fruit, so where do I go to figure out the points for this? Thanks to all willing to share information and links. Well, I have been doing the Freestyle for two weeks. I decided to give it my best shot. Today was my second weigh-in. I am now heavier than I have been in two months. I am not pleased. To calculate the points for a fruit smoothie, you could try the Recipe Builder. On the web site (not the app) the Create button it at upper right. Create a recipe, put in your ingredients one by one, then check the box for Is this a drink. That, by the way, is where I found the link to the article about smoothies. Hi Emily! I get the frustration! It's hard, but I'm loving it mostly because of the 0 point beans, eggs, and tofu (no meat for me). The first week I planned what I was going to eat. I had a plan and I was focused. The weeks after no planning, much harder. So I have a couple of suggestions. The first one, if you don't do it already, try planning. There's a few apps I use and I look at recipes online. I'm loving chillis and soups. Another suggestion is try again after the holidays. The holidays are hard enough without a new program. So because of all the events, sweets, and even just stress of the time of year, our weight can go up. Thirdly, still weigh and measure 0 sp foods. I have to do this myself. Just because I can eat a whole can of beans, doesn't mean I should. Don't be afraid to not use all your points and likewise don't be afraid of using some weeklies. We have to find the balance because everyone's body is different. Anyway, that's my advice. Things I have to remember too. I have to take it easy on myself and remember that this is a tough time. Yesterday, I over ate way way way too much. I tracked the best I could and moved on. The next couple of days are going to be hard for me, but I got this. I dropped ww. I could never lose on smart points. I am doing points plus and have dropped 4 pounds in a week. OK, I signed up for the new program, but was kinda disappointed that the nutritional information doesn't include sodium. And although I haven't done much searching yet, many of the recipes I did find have very little, if any, nutritional info. So, do I just remove any salt from any recipe I find, and hope there isn't much sodium in the remaining ingredients? Well, Emily did you show your leader what you ate for the week? Or if you're doing it online - did you do the chat with WW? We can't tell what you're doing. new program! I am very happy for those people who find this new program a wonderful plan for their journey, but there are those of us who can not eat fish, beans, tofu, and such. With lower points and even less options, it can not be a lifestyle that I can live with, without it becoming another unsuccessful "diet". Why can't we have a choice? Every plan Weight Watchers comes up with does not fit everyone's lifestyle! Having more choices for me made it something I could live with. I will talk with my WW leader when I return to see what her advice is. I want to continue with my meetings, but I'm not sure if I can make this transition work for me. But again, happy for those who have found a home with FreeStyle. Anybody wanna help me calculate my freestyle points? I agree with Darlene Champigny's comments completely. Since the Freestyle program started I am finding that I am struggling more with keeping my weight under control. I was maintaining close to my goal weight before. Now I find that I am not as satisfied because of the 7 point drop in my allowed daily points and my weight keeps wildly fluctuating. I have always included some vegetables or fruit with my meals, but my body runs better on protein and a few carbs. More vegetables and fruits may be fine for some, but some of us do better with proteins and carbs. Vegetables and fruits just don't satisfy or fill me up and there are loads on that 0 points list that I cannot eat due to allergies or other medical conditions. I would be happy if they just gave the lost points back to us and let us adjust from there. I am waiting now to see if they are going to raise the monthly rate. That could be a game killer. Thanks for letting me vent. I don't like Freestyle. I was vegetarian but recently added fish. I'm not willing to add chicken. I can only eat so many beans, chickpeas and tofu without setting off my IBS. I went on WW in April, 2017. I had 14 lbs. to lose. It took me about 5-6 months, which was great. I actually ended up losing 17 lbs. I became a lifetime member by keeping the weight off for several weeks (now several months). On the Points Plus program, I had trouble stopping the weight loss process and continued losing weight slowly. So I was planning to increase my daily points manually. Then they implemented Freestyle; my points were cut. I tried freestyle for a few days. I was so hungry I was sick. I had constant cravings, which made me miserable. I finally gave up on it completely and just ate what I felt like eating with some emphasis on trying to make the healthier choices. After 2 weeks, I had stayed at exactly the same weight. But since I'm not following the points system at all now, it felt like I was out of control. I was no longer using WW tracking to maintain my weight. I'm currently trying a system where I mentally add 50 points per week to my points allowance. According to my home scale, it's working. However, it's a shame I have to tweak the system. The old Points Plus was easy for me and I had no hunger or cravings. Everybody else seems to be happy with the new Freestyle system, so I guess I just have to figure it out on my own. I am going to try the 3 month online WW program. I'm hesitant about the Freestyle program, but willing to give it a try. I feel better when I'm eating foods such as fish, chicken, salads, etc. I don't want to eat what I consider junk food and count those points. If after 3 months I have not lost any weight, or if I feel sick from lack of food, I will drop the program. i will give some updates here. I appreciate everyone's candid comments except for the one poster who felt so superior and lashed out at others. Everyone's journey is personal and they should follow a program that is the best fit for them. thank you Snack Girl for your review of the new WW program. very helpful. I have lost 9.8 lbs since starting Freestyle the beginning of December. My next weigh in is this Thursday. Eat healthy foods, watch your portion size because ZERO DOES NOT MEAN FREE or NO CALORIES. Try to be open minded about the program, yes its hard to change but its harder when you are stubborn and wont even attempt to try it. I for one, do not give out proprietary information for WW. I have to pay for it with my limited budget. There are free or inexpensive apps that you could consider using, Rather than trying to figure out the WW program at home. Snack Girl has an article about them, and there are helpful comments from the Snack Girl community. In Freestyle do you have to count second portions of zero point foods or is there a cap on the amount? Does anyone know? I was a WW member until I found the “ itrackbytes”app for my smart phone. It’s identical to the WW app and you can choose from using points plus or smart points! I'm just telling you all what has and hasn't worked for me. I was open minded. I love WW and think it's a great program in general. I'm a free lifetime member and currently 3 lbs. under my goal weight. I already had a reasonably healthy diet and was successful in losing all the weight I wanted to lose on the Points Plus program. However, for several weeks before Freestyle started, I was slowly losing weight even though I didn't want to lose any more weight. So as it is, I was going over my weekly and daily points so I could halt the weight loss process. I did try Freestyle when the change was implemented. I went with the number of points they allotted me and tried to increase consumption of zero points foods in order to make up the difference. Results were disastrous. I had gnawing hunger and cravings, none of which I'd ever experienced on Points Plus. By adding approximately 50-60 weekly points to the number Freestyle allots me (in addition to using all of my fitpoints, daily points and weekly points), I've managed to stay the exact same weight for about 4 or 5 weeks now. Perhaps Freestyle is great for those trying to lose, but not so great for those of us trying to maintain? I only know I'm not willing to sacrifice my health and peace of mind out of some blind loyalty to whatever changes WW decides to make. But I still recommend WW to anyone wishing to lose weight. I'm hoping WW will readjust again in a few months, at least for those of us who are maintenance members. In the meantime, I'll keep doing what works for me which obviously isn't Fitpoints. I meant Freestyle doesn't work for me. Fitpoints definitely have been helpful over all. @Gillian - you can have as many servings as you want for zero points but you are supposed to exercise moderation. Great question! I love your website and will definitely subscribe. How will I know which of your recipes have been calculated using Freestyle points? I apologize if you have already answered this and I missed it! Happy weight loss everyone! How do you adjust points on frozen Weight Watcher meals that have zero points in them, like chicken? I am doing smarpoints and was off for a couple of months. I have all the material and use an app to track my points. I cannot afford to join WW now. I wanted to try the Freestyle. Is there a way to calculate your daily allowance? And weekly allowance? I am female, 5'3", age 53, and weigh 177.6. Would like to lose 30 lbs.to reduce my insulin resistance. There's no official limit to the quantities of zero points foods you can eat on Freestyle. In fact, if you have trouble staying on the program and find yourself getting hunger pains, I recommend eating much more of the zero points foods rather than going to bed hungry or giving up on WW completely. Zero points foods include nonfat yogurt with nothing added, eggs, skinless fish and chicken breast, shellfish, all fruits, and virtually all vegetables (including beans but excluding potatoes). I'm liking Freestyle better now. It's still a challenge because I'm trying to avoid rapid weight loss (or any weight loss, at the moment). I'm on maintenance. But the fact that Freestyle works too well isn't going to be a problem for those who have more weight to lose and want to see results right away. (I still have a problem with the idea of weight loss that is too rapid because I don't think it's healthy in the long run.) Most people were issued about 5 less daily Smartpoints on Freestyle. (I'm not sure of the exact number.) You make up for it by eating more of the healthy, zero points food. Although I understand not being able to afford WW, I recommend joining as soon as it becomes financially possible. Eating right and maintaining a healthy weight are lifetime efforts. As a lifetime member, WW is free for me as long as I don't go more than 2 points over my goal weight. Even when I have some bad weeks and give up on the program, it gets me back on track eventually. I am so confused about calculating fat on the new freestyle program with the calculator. Some say you have to input all fat while others say only the saturated fat in a product. Which is it? Thanks! I am a bit confused about the daily point allowance. Do all women get 23 points a day no matter your current weight, age and height are? Not seeing popcorn as free, but wondering why not? Any item that can be a potentially abused item (can be easily overate) is not included. Same thing goes for potatoes (all varieties) they have points because people can easily over eat them. Hope that helps! Wishing you much success on your journey! I rejoined and am disappointed with the new "0" point region. Also I found the WW APP clunky to use- just didn't bother. What is working for me is to track every single thing I eat (counting calories)in MyFitness Pal app and go WW meetings to keep me on track to weigh in. Did Freestyle faithfully for 2 weeks. Exercised as well. Gained weight. Listen, a calorie is a calorie is a calorie! There is no such thing as a "free" food! I believe the new FS program has the potential to mislead. WW justifies the zero point foods by saying they are so filling that people wont overeat them, but reality is, people CAN and WILL, putting them into a higher calorie range and gaining weight. The science just doesnt add up. Buyer beware. Members are cancelling in droves. New site on FB with over 5000 members who want out of freestyle. Members hacking their apps and switching to other sites. The WW network Connect has become hostile and divisive. Even long time superstars are bailing. Check out backto30 on FB before you decide. How can you make foods that have calories zero points, yet still give a person their daily points, I have 34 daily points, so if I eat 34 pts worth of food and then on top of that eat 8 ounces of chicken, 2 bananas, 4 eggs and maybe one other zero points food, that is a ton of calories, how could I not gain weight by doing this, if I was on a strictly zero point food diet only I could see weight loss, but they are acting like calories do not exist.... I'm very confused. How do I determine the Smart Points Daily allowance? I was thinking about giving WW a try but am having second thoughts about it now. I may just go back to doing the food exchange diet where I lost over 200 lbs. I personally liked WW when they originally had the food exchange diet back in their earlier days around the 1980's and early '90s. When it comes to weight loss it's much better to stick to what works best for you. And that's probably what I'll do. I dropped WW today because the new Freestyle program is really misleading. Do you really think 1000 items are 'free' regardless of how much you eat? Even if you still respect reasonable quantities, there was a point difference between 4oz and 8oz of skinnless chicken breast. And the misleading comparisons can continue. Basically they gave us 'free foods' and reduced the number of points I managed with my choices. So they tricked you into thinking you had more choices, rather than telling you that they are assuming those points they took away are being replaced by items on their 'free' list. In reality, the new freestyle program reduces my choices and gives me restrictions on points I used to control. They are becoming just another diet program and that's not what I want. This is in response to Ed Crimmins' post about leaving WW. I have to say that I agree with you whole heartedly. I have been struggling with the new Freestyle program since it came out. I feel it was sprung on us without any warning and we were not given the option of staying with the program we we on. I am having a very difficult time keeping from being hungry and getting the amount of protein and carbs that I need to function properly. For me a plant based diet does not do the trick. And the point drop did not help. They are forcing us to go to a plant based diet and that is not why I joined WW. It also amazes me when Oprah gets of TV and talks about shrimp tacos and the like. Not all of us can afford the meals that she can. Plus not most of us don't have the luxury of having someone to prepare our meals for us. I think thay should have picked someone else for our spokesperson. INMHO All in all WW should allow us to be able to pick the program that works the best for us. It should be our choice not the companies. I agree with Ed and Carol, that WW's Freestyle doesn't work as well as Points Plus. I had greater food choices with the old program. I would have liked the option of staying with Points Plus, but everyone was automatically switched over to Freestyle. However, even though Freestyle doesn't work quite as well, I like WW. Meetings are supportive and provide good motivation and practical advice. I believe WW's diet is nutritionally sound, workable and still more flexible than most diet programs. It still works. I lost weight on Points Plus. I've maintained my weight loss on Freestyle. It's been a little bit more of a struggle, but not awful. I'm hoping WW will go back to Points Plus system, or at least start offering a choice. I'm sure there are other workable weight loss systems out there that are nutritionally sound, but WW still is one of the best. I wish you all great luck with WW or whatever program you decide upon. I joined WW for the first time a couple weeks ago. I have followed the Freestyle plan faithfully and am gaining weight! I have added exercise to my daily life and eating healthier foods and no added sweets but am tired and gaining weight. Currently unhappy with this plan but in it for six months. Your grammar needs correction! It is incorrect to say, "You are allocated LESS daily points." It is correct to say "You are allocate FEWER daily points." Signed, An old fussy English teacher who loves Weight Watchers. How do you recalculate Smartpoint recipes into Freestyle points? By that time we need full info from the very beginning of the program. Learning as you go to meetings is not what were paying for. I asked for help after a meeting and was given what the Infoleader felt was needed and then noticed she was looking at the clock-- oh well== time to go.